#Hiddlesupport: Fans Support, Haters Destroy. Stop Cyberbullying. #Hiddlesupport! Stop Cyberbullying now! Yesterday we started a Love Campaign for Tom Hiddleston to support him. Some of you asked if we had examples since you couldn’t find anything on Twitter. Hate in Twitter doesn’t come in hashtags, but with replies and mentions. Meaning, that some profile can send you hate that you will only see when you take a look at your notifications. Most haters use the reply system so their accounts would look “neat” when you visit them on Twitter, but if you click onto Tweets&Replies you might find hideous surprises. If you are against cyberbullying, as we are, you can also take some minutes and take a look at Stop Bullying and Stop Cyberbullying. Remember that you don’t need to be a kid to be target of hate online. If you are, please ask for help, put yourself in contact with these organization, or local organizations. Please help end hate. Spread love online instead. Down here you’ll find some of the hate messages Tom Hiddleston fins in his notifications in Twitter. If you choose to continue reading, be advised that these are hard to read. This entry was posted in Solidarity and tagged fandom, proud member of Loki's Army, solidarity on May 18, 2015 by pepi. #Hiddlesupport is needed! For our beloved Tom Hiddleston! It seems that, for some obscure reason we cannot understand, some haters have decided to send hate messages to Tom in Twitter. Fans support, haters destroy. Cyberbullying is a very nasty business and it affects lots of people, and one of them is Tom Hiddleston. Shaming someone online, public or not, is not the way to get rid of your frustrations. Behind every Twitter account there is a human being. Calling names to someone using Twitter is not the way! As fans, we feel that it’s our duty to send a message of love and support to Tom Hiddleston. So, if you are a member of Loki’s Army and/or a Hiddlestoner, please send Tom a message of love like these (remember to use the hashtags and @twhiddleston) and let’s erase together the hate messages he is getting at the moment! This entry was posted in Solidarity and tagged fandom, proud member of Loki's Army, solidarity on May 17, 2015 by pepi. 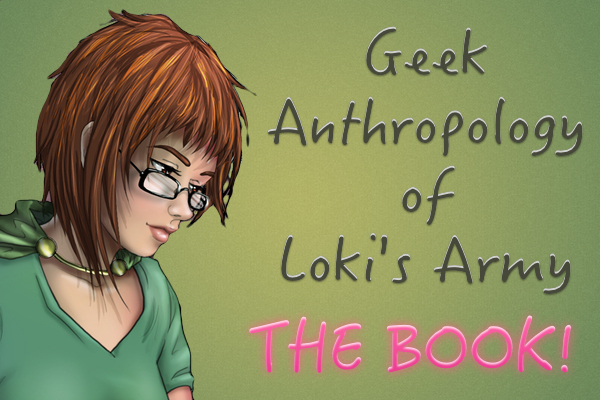 SISTERS AND BROTHERS OF LOKI’S ARMY: I beg for your help!! “SISTERS AND BROTHERS OF LOKI’S ARMY: I beg for your help!! I created this painting for a reason. Last year when my baby brother Tony was diagnosed with cancer, I launched myself into a painting of epic proportions to vent my stress. Over the months, as I watched my brother treating, losing weight, losing his hair, fighting to survive, I poured my grief onto the canvas. The painting changed a thousand times as my emotions raged from high to low. I threw all my energy and love into this work of art, until after nearly 6 long months, Loki of Jotunheim finally appeared. It was my hope that once the painting was completed, my brother would be in remission. This entry was posted in Solidarity and tagged solidarity on March 31, 2015 by pepi. Loki does not like Cyberbullying! Loki does not like Cyberbullying. We do not like Cyberbullying. Why are we talking about this now? Because fellow pages in Facebook are having problems right now with this topic. And it’s not fun at all. We’ve been informed that someone has taken advantage of their position as Admin of Highschool DXD Xenovia. He kicked out the real Admin (the one who created the page), and now is using it to cyberbully the original owner of the Page. Simply put: they stole the page and now they are cyberbullying the ex-owner. This entry was posted in Solidarity and tagged solidarity, stop bullying, stop cyberbullying on March 31, 2015 by pepi. The Team A World Elsewhere has added new thank-you goodies to their awesome campaign to help UNICEF create a better world: you donate and you can win some of the give away goodies. STEP 2: EMAIL THEM at team.aworldelsewhere@gmail.com with your name and postal address (both the email and postal address will be used ONLY for the purpose of their give away: to send you your prize in case you win or the thank-you gift in case you don’t win – they will NOT send you unsolicited emails or give your information to anyone!) They will assign a number to every donation and draw the winners with random.org on 2 July. The winners will be contacted via email by 4 July. If you have any questions, send them an email at team.aworldelsewhere@gmail.com or ask them on twitter with the hashtag #TeamAWorldElsewhere! By Team A World Elsewhere. This entry was posted in Solidarity and tagged solidarity on June 29, 2014 by pepi. The Team A World Elsewhere has prepared an awesome campaign to help UNICEF create a better world: you donate and you can win some of the give away goodies. This entry was posted in Solidarity and tagged give away, solidarity on June 22, 2014 by pepi. As you know, Tom Hiddleston has been helping people around the world through UNICEF. We thought that we could do the same, comfortably, from home, through Kiva. So we got ourselves a group through which we can help people around the world. Kiva is a non-profit organization which connects people through micro loans. You help people around the world by lending them some money to help them thrive and have better lives. You are helping have access to financial services to low-income individuals around the world. Join our group here and start helping people around the world. You can loan $25USD, and help someone have a better live 🙂 We can make a change, and we can make it together. So, when do we start? This entry was posted in Solidarity and tagged proud member of Loki's Army, solidarity on May 27, 2014 by pepi.